At TDA, we pride ourselves in providing top quality instruction in an inspiring and enjoyable environment. Our award-winning instructors strive to bring out the best in each and every student, no matter their experience in dance or gymnastics. We believe dance and gymnastics provides students with confidence in themselves, satisfaction in their achievements, and inspiration to do and be their own personal best. 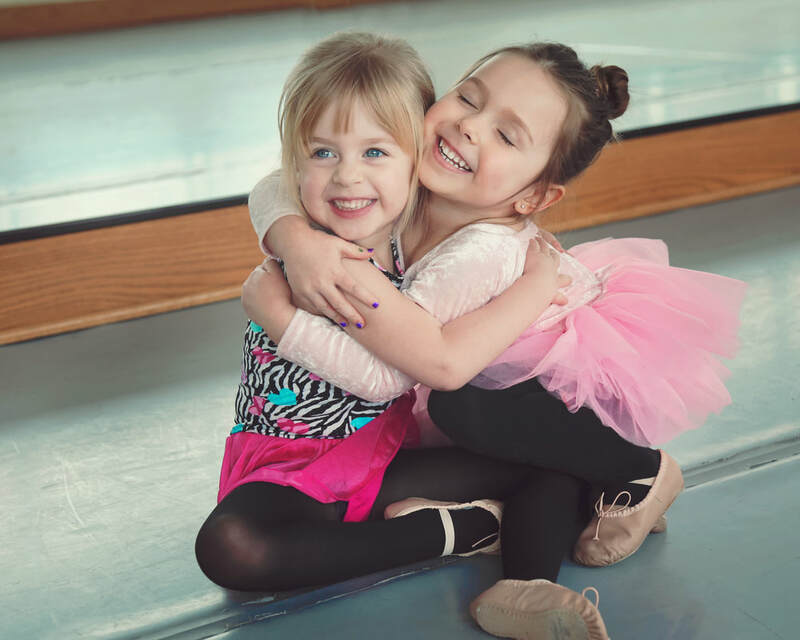 The Dance Academy's goal is to not only give the finest possible dance training to all of our students, but to also instill in them a positive self-image which contributes to a happy and fulfilling adulthood. We do this by developing our students' minds and personalities through learning self-discipline, responsibility, mental alertness, leadership skills and cooperation while keeping the entire process fun! Our classes go beyond technique to develop hard-working, happy, and confident young people. TDA students are more than great dancers—they’re great people! At TDA classes are perfect for all ages and dance levels. All new students are welcomed and made to feel comfortable. We use only age appropriate music, dance styles and costuming. We teach proper dance, gymnastics and stretching technique. All classes include proper technique, stretching, choreography and terminology. Class level is determined by the age of the student as well as their dance ability. We pride ourselves in offering not only the best instruction, but superior customer service. If you just want to dance for fun or make dance a career, TDA is THE place to train! We are often imitated but never duplicated. ​Thank you for continuing to vote us Best Dance and Gymnastics Studio. All Instructors are ADULTS that are experienced, educated and have a background in teaching/performing. ​Find out why everyone loves being part of the TDA family. ​Joining UPDA is one of the best things I ever could have done for my daughter. She has gained so much confidence! We love all the teachers and the dance family as a whole. The opportunities are endless, as they are always coming up with new classes and performing at new places! ​My daughter has been with U.P. Dance Academy for 5 years. She has come so far in her dance skills in that period of time thanks to the teachers at U.P.D.A. And as a parent it gives me great pleasure to see her performances and that of the other dancers as well! I would highly recommend U.P. Dance Academy for anyone interested in any kind of dance and gymnastics! We are proud to be part of the UPDA family, which is made up of some of the most fantastic staff, dancers and parents that we know. 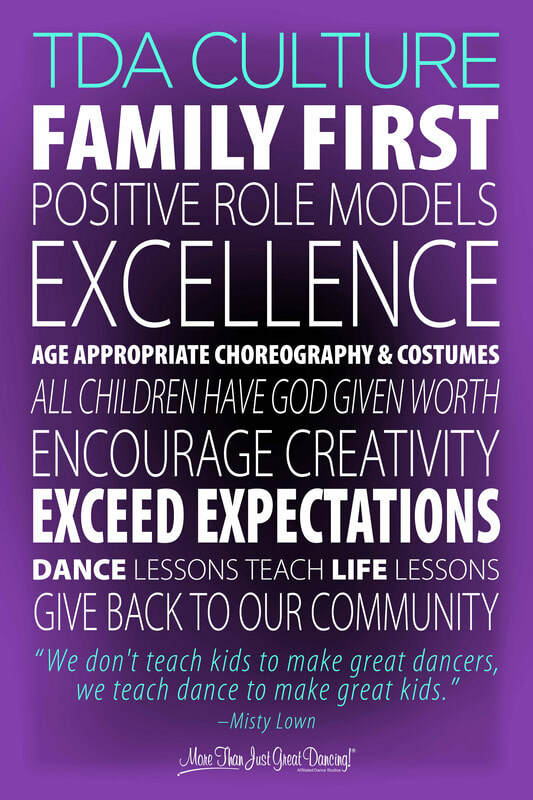 The staff are extremely dedicated to the dancers, the community and creating a positive and fun learning environment. Miss Katherine, Miss Doni Mae and Miss Kati go out of their way to encourage and inspire their dancers and create team work within the competition teams. They are molding and guiding our youth in our community to become outstanding members that have confidence, positive work ethics and demonstrate team work through an physical activity in which they enjoy. The dancers themselves are always encouraging, helping others and setting great examples of kindness and that hard work pays off. My girls are in their 5th year of dance at UP Dance Academy and leave everyday with smiles, sweat of hard work and determination to accomplish their goals. ​My daughter joined UPDA a yr ago in the fall of 2015, she had no experience in Dance or Gymnastics. In just a year, she has learned the fundamentals of dance/gymnastics, she is strong, graceful, coordinated, and dedicated to the sport. I have seen such a growth in her. She is now part of something so much more than just being in dance. At UPDA the girls learn how to be value team players, they learn responsibility and leadership. She has made many new friendships and the staff and other parents at UPDA make you feel like you’re part of their own little family. I love to see her enthusiasm and hear her excitement when she comes home telling me she finally landed her aerial!! Thanks to UPDA my daughter is developing into a strong, independent young lady. So thank you UPDA, you guys ROCK!! Four years ago, on a hot summer day, I had a teary-eyed conversation with my youngest daughter. She told me that she didn't want to dance anymore. If you know my daughter, you know that she IS dance. It emanates from her very soul. I could tell that she didn't really want to quit dance. She had been dancing for 7 years and loved it, but she didn't love the style of dance she had been performing anymore. Later that day, I was speaking to my friend and told her about what Kathryn had said about quitting dance. She told me to bring her to a summer camp for one day so she could try a different style of dance. She was very nervous to try something different, but nevertheless she went anyway. I peeked in at their class, and I could see that she was having a blast. She was smiling and laughing and really loving the class and the choreography. We enrolled her in a competition class and a recreational class. She even gained her new nick name - Snickers! After a summer camp the next year, we discovered that she has an affinity to tap also, and she joined the tap competition class. Needless to say, our experience at UPDA has been absolutely wonderful. Words cannot express my gratitude for bringing back my happy little girl. Her self-confidence is up, and she knows that hard work pays off. Thank you Miss Kit Kat from the bottom of my heart!